Owning and operating your own photo booth is a great gig. 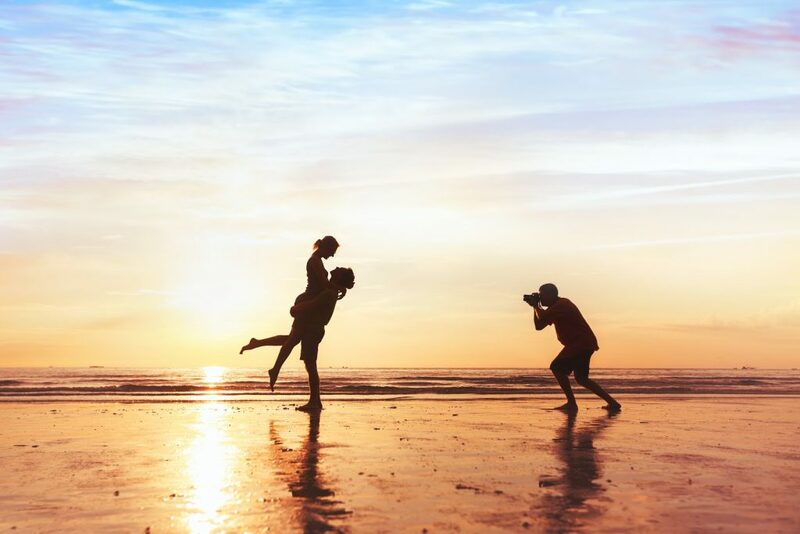 At its best, being a traveling photographer, or photo booth operator, allows you to capture moments of joy and celebration wherever your journeys may take you. If you are one of those lucky few globetrotting photo booth operators, all that travel comes at a cost. With excess baggage fees on top of plane tickets, things add up. Fortunately, having your own media pass can offer significant savings. But how do you go about getting these credentials? Here’s a handy guide on how to print your own media pass. 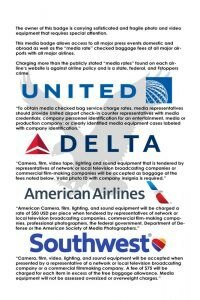 When professional photographers, photo booth operators or other media types travel for work, they are usually entitled to a media rate by most airlines. Some major airlines will allow those who are authorized to save money on extra checked baggage or even overweight items. The catch? Often, the agents at check-in desks either don’t know the allowances or simply choose to pretend they don’t. What Kind of Discounts Do Airlines Offer? Official media members can take up to 25 pieces of luggage at a rate of $50-per-item domestically and $70-per-item internationally. What makes it even better is that overweight luggage incurs no additional fees! Like American, Delta allows press members to take up to 25 pieces of luggage at $50-per-item domestically. What makes Delta different, however, is that the first and second bags are charged at only $25 and $35 respectively. Southwest allows media members to bring as many items as they require, with the first two being free and the rest charged at a rate of $75-per-item. Not too shabby, eh? With the substantial savings available to members of the press and associated media, it’s no wonder why so many people would want to take advantage of these great rates. Airline agents, as mentioned above, however, can be difficult to deal with. If you find yourself in a situation like this, you have two options: either pay the extra charges for your excess baggage or make your own media pass. If you think that printing your own custom media pass sounds like a great idea, you’d be right. What makes it even better is that the process isn’t all that difficult. There are plenty of media credential templates to be found online, which will give your pass that extra bit of credibility. One key thing we must stress, however, is that you should not create a badge indicating that you work for an organization that you do not. This is misleading, unethical, and may get you into trouble with both airlines and whatever company you are passing yourself off as a member. Once you’ve crafted the perfect credentials, all you need to do is print them. This can be done at any number of websites, like quickidcard.com, idcreator.com, or aipress.com. These are fairly cheap (expect it to be around $10) and are quick to arrive in the mail. Once you’ve received your pass, you’re ready to go! If you’re interested in joining those traveling photo booth operators, check out LA Photo Party’s products today!